Like so many people, actress Claudia Christian once struggled with alcoholism. She found her life spiraling out of control. After attempting nearly every traditional option for alcohol addiction recovery, she came across The Sinclair Method. She she claims that TSM ultimately saved her life. This TedX Talk discusses her personal history with alcohol dependence and how The Sinclair Method helped change her life and beat addiction to alcohol. Can you relate? 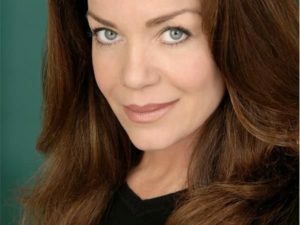 Claudia Christian has been working in the entertainment industry for over 30 years. She became a very light drinker in her 20s. But in her 40s she developed alcohol use disorder or AUD. She realized there might be something wrong when she was always the last person at the bar, or was still drinking when others had switched to coffee. She tried going cold turkey, just suddenly stopping. But she soon discovered that she was not in control of this addiction, what she called “The Monster” was. She tried therapy, group therapy, AA, micro-biotic therapy, veganism, equine therapy, tai chi, prayer and she still continued to relapse. For Claudia, she had a genetic predisposition to alcoholism. Addiction issues exist on both sides of her family. So for her, the genetics coupled with the behavior, drinking, made her an addict. It became clear to Claudia that the many therapies coupled with going cold turkey time and again wasn’t working. That’s when she discovered a flyer about The Sinclair Method (TSM). This therapy included taking an opiate blocker, naltrexone, waiting an hour, then taking a drink. The naltrexone blocks the endorphins in the brain, so the user does not feel the “high” is usually does from drinking. TSM results in a decrease in the cravings for alcohol. It was the solution for which Claudia had been searching for years. She was able to pour a drink of wine and not be tempted to drink it. When she encountered her normal triggers, they no longer held any power over her. Claudia believes that TSM saved her life. ← What is Alcohol Use Disorder, and How Should It Be Treated?